If it’s time to start searching your local car dealerships in Milwaukee for your next vehicle, come to Ewald Chevrolet Buick. Ewald’s car dealerships near Milwaukee offer an incredible selection of certified pre-owned cars for sale. We want it to be easy to find the right certified pre-owned cars for sale near Milwaukee. We want it to be possible to find CPO Milwaukee cars all from the convenience of your home or smartphone instead of having to search car dealerships in Milwaukee. Here you can find a full inventory of CPO Milwaukee used cars for sale to browse. Once you find the CPO Milwaukee used car for you online, come into our car dealerships near Milwaukee to take it out for a test drive. When you visit our car dealerships near Milwaukee, you will discover that we have a sales team that is friendly and knowledgeable when it comes to certified pre-owned cars for sale. They are happy to answer any questions you may have about our CPO Milwaukee cars for sale. Here at your local car dealerships near Milwaukee, we want you to drive away in a certified pre-owned car with a smile on your face. If Buick cars for sale are what you are after, check out the Encore. This Buick certified pre-owned car for sale is a please to drive and own. 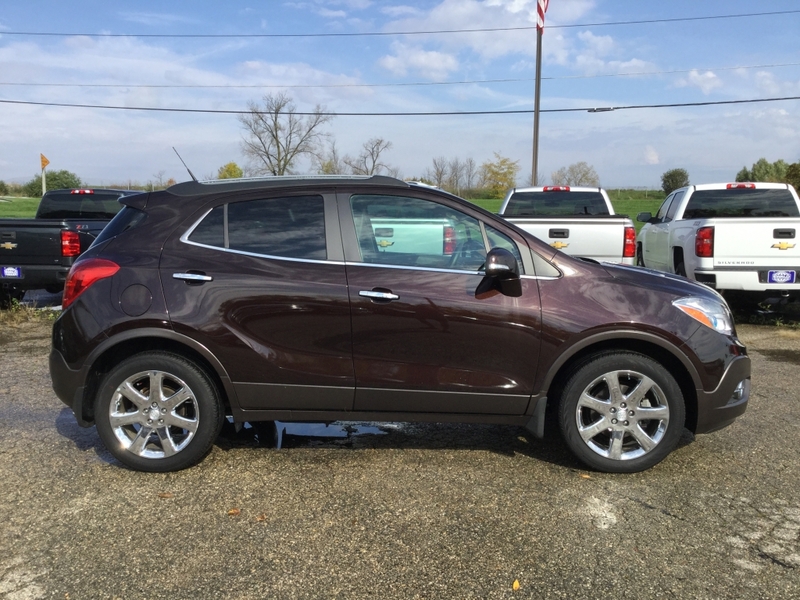 This CPO Buick Encore for sale comes with many features both inside and out. You surely won’t want to miss out on this Buick certified pre-owned car. This Buick certified pre-owned car for sale features heated leather seats that are luxurious as well as durable. This CPO Buick for sale also comes with Bluetooth and steering wheel controls. Now you can answer calls, adjust the volume and change the radio station. All without ever having to take your hands off the steering wheel of this Buick for sale. This CPO Buick also comes with dual-zone automatic climate control. Now you and your passengers can both be at the perfect temp with this incredible feature. The remote vehicle starter system on this certified Buick for sale will make the coming winter months easier to deal with as well. This certified pre-owned Buick for sale at Ewald’s car dealerships near Milwaukee has many other features to discover. Find them out for yourself when you come to Ewald Chevrolet Buick. When it comes to Buick certified pre-owned cars for sale at car dealerships near Milwaukee, make the drive to Ewald Chevrolet Buick. We can’t wait to work with you on finding your next CPO Buick for sale. When it comes to buying your next Buick certified pre-owned car for sale, we are here for you. Check out our outstanding inventory selection of certified pre-owned Buick cars for sale near you today. You can find our Ewald Chevrolet Buick dealership at 36833 E Wisconsin Ave Oconomowoc WI, 53066 to check them out in person. Or give us a call at (262) 226-2842 to schedule your test drive.